Your hands aren’t the only things that get dry and tight during the winter. Give your face some needed moisture with these three new moisturizers. Skyn Iceland had one of my favourite products of last year, so it shouldn’t come as a surprise that I wanted to try their new moisturizer. This moisturizer is meant to smooth and soothe the skin, hydrate and fix environmental stresses. The smell and texture of this cream are a little strange, but don’t let that turn you off. The smell is a slightly sour lemon smell. It’s not strong, but it is there. The texture is so weird that it’s almost off putting. It’s like a big ball of jelly. It wiggles and stayed together like a solid cloud. Once you get it out, it’s a really nice moisturizer. It has a cooling effect on the skin that is fresh. It absorbs quickly and doesn’t leave any residue on my skin. It leaves my face feeling refreshed and alert at any time. 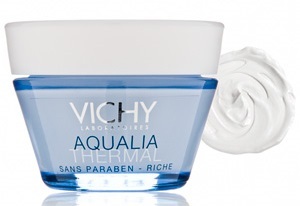 If you need something rich and thick, Vichy’s Aqualia moisturizer is exactly what your skin needs. I don’t usually have dry skin year round. So, while I loved the light smell and texture, this moisturizer was a bit too heavy duty for my face. It actually makes me wish that I had dry skin, so that I could appreciate this line for everything it is offering. 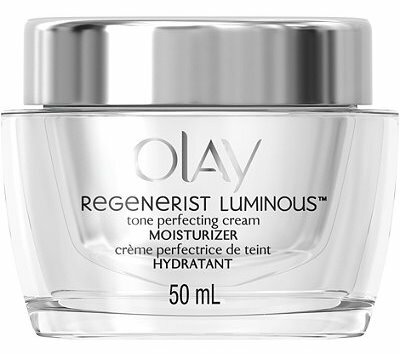 My favourite of the bunch, the moisturizer that is just right, is the Olay Regenerist Luminous Tone Perfecting Cream Moisturizer. It has a soft powdery smell that I want my skin to smell like. It makes my face feel soft and smooth. 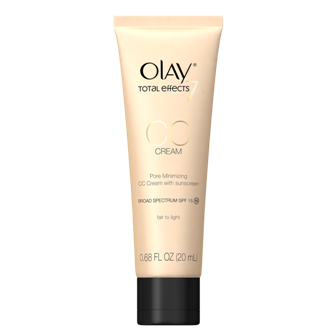 Olay Total Effects CC Cream – If you want a CC cream that you can trust with your face then Olay’s Total Effects CC Cream is your best bet. 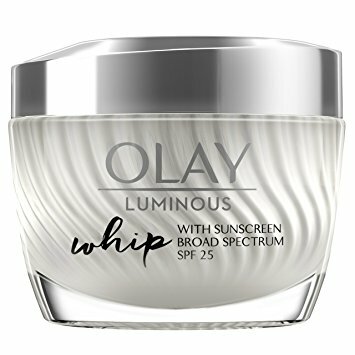 This cream smells like your favourite Olay moisturizer with a light perfume smell. Olay’s CC Cream is thick, but not so thick that is it clumpy. It easily spreads over your skin in a thin layer that you can barely feel. It absorbs into your skin quickly leaving you with a dewy glow. It’s perfect for those no makeup days. Aveeno Clear Complexion BB Cream – Aveeno newest BB cream does double duty. First it is a powerful moisturizer. With it’s light floral scent, it doesn’t even really feel like makeup. This BB Cream is surprisingly thick. 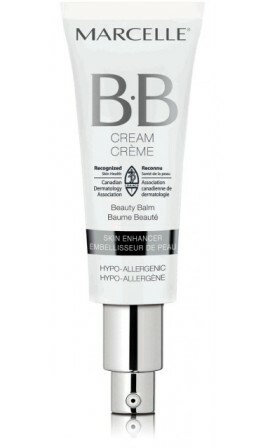 It doesn’t spread as easily as some other BB creams, but it feels great on your face. It almost seems to illuminate your face. Aveeno’s BB cream has hidden powers though. It is also made to help reduce the appearance of blemishes, marks from past acne and help prevent future breakouts. I thought my skin was just getting better naturally, but when I realized it was Aveeno’s BB cream helping out, I was sold. 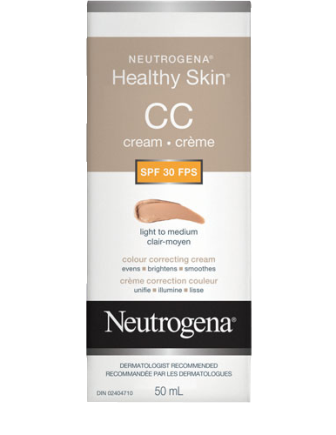 Neutrogena Healthy Skin CC Cream – This CC Cream is the least like makeup and the most like an everyday moisturizer. Of all of the new winter makeup, this one was the most fragrant. If that kind of thing is a problem for you, steer clear of this cream. When it comes out of the tube, it doesn’t look thick at first glance. When you go to spread it, then you realize how thick it is. It leaves a protective layer on your skin that you can feel, but not in a bad heavy way. You need to give it a minute to dry and then it leaves your skin feeling moisturized and healthy. It doesn’t give much in the way of makeup coverage. It’s perfect for weekend days when you want moisturizing without something too heavy. Marcelle BB Cream – This BB Cream actually feels like a balm. If you have sensitive skin, especially in winter, this is an essential product. It’s a moisturizer, a primer and it gives you an even skintone all in one step. In typical Marcelle fashion it’s hypo-allergenic and recognized by the Canadian Dermatology Association. It also comes in six shades which is pretty much unheard of for BB Creams, so they’ve got almost everyone covered. And it feels amazing on your skin.